Thinking about going vegan? Want to add some plant-based meals to your week? 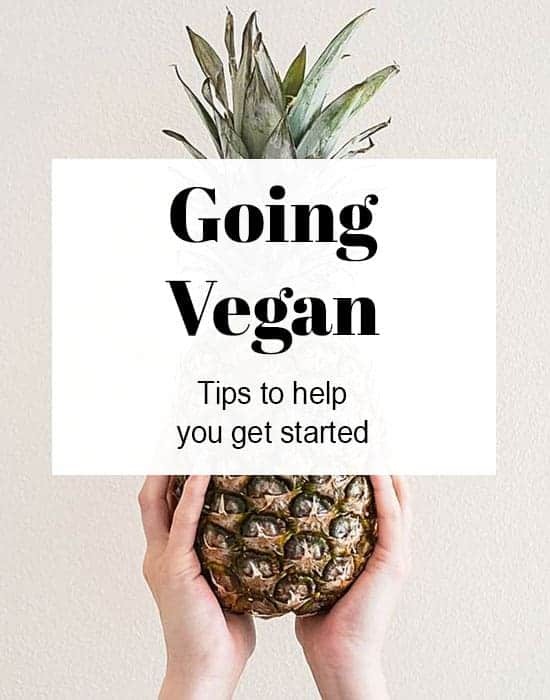 I’ve got some easy and helpful ways to go vegan without the stress. There are many reasons people are going vegan nowadays – your health, the animals, the environment, etc. Whatever your motivation I wanted to give you a starting off point and share some things that helped me or that I wish I knew when I began my journey. I can talk endlessly about the subject so I will try to relay this information in a clear and concise manner (or as clear and concise as my frantic brain will allow). 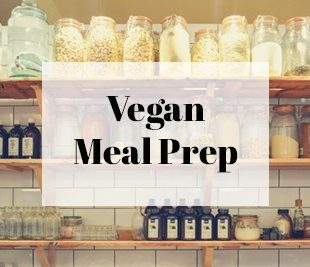 Today I’m sharing some basics for those who are interested to see if going vegan is for them or want to add in more plant-based meals to their diet. This part will help you start slowly so you don’t get overwhelmed. Firstly, I’d like to point out I’m not one of those militant vegans who criticizes someone when I see them eating meat, cheese, etc. I try to teach veganism through positivity so you will not find negative “dairy bashing” or the like in these posts (or anywhere on my blog). I believe that being too restrictive or putting people down kills motivation. I try not to push my beliefs on anyone but do my best to live a caring life and be supportive of those who are interested in determining if a plant-based life is for them (and hopefully it will be!). I’m happy when people cut out any toxic products and I encourage everyone to add more plants to their diet for their health. A vegan is a person who does not consume or use any animal products. Therefore, in addition to not eating meat & dairy, a vegan would not buy products that contained leather, wool, etc. Plant-based focuses on one’s eating habits – eating only non-animal foods. Also, people use plant-based as the “healthy” version of vegan. This use is due to plant-based eaters focusing on whole foods and veggies whereas someone who considers themselves a vegan may include processed foods in their diets. I may use these word interchangeably on my blog because I’m both vegan and plant-based. Let’s focus on how you live your life versus what you call yourself. It’s all about how you feel! I was vegetarian for a while before fully going vegan which helped transition me into my new lifestyle. Some people can go plant-based overnight but that can be overwhelming to others. Transitions can take time and that’s okay. Nothing has to happen immediately. It also doesn’t matter if you “slip up” either (we all do), it only matters you’re on the right path. The key thing to remember is that we’re all different and we have unique bodies and preferences. You may find things work for you right away or you may have to try a number of things to get into the groove. It may take longer for some people to transition than others and that’s okay. Just be yourself and be patient. Depending on how comfortable you are, you can start with one meal a week or one meal a day. After you’re comfortable with one meal a week or day, up your vegan meal intake. If cheese seems too overwhelming to give up at first, start with meat and then once you’re comfortable with those meals, move on from there. Chances are you are probably eating many plant-based foods already. 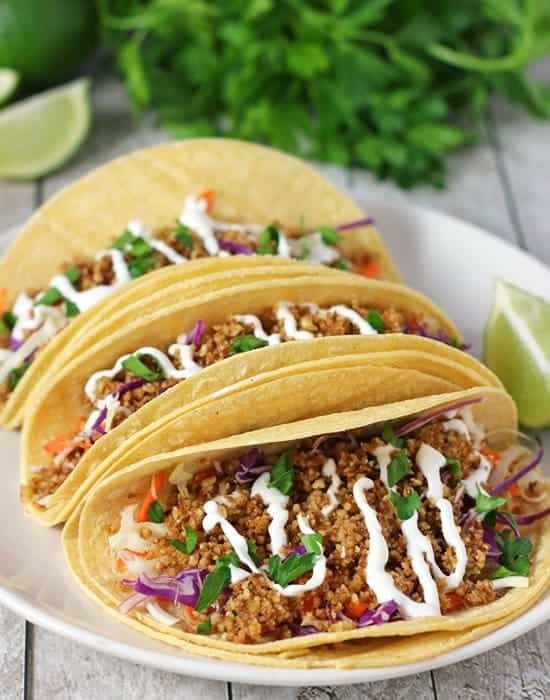 Easy meals to start with when going vegan are ones that you don’t need cheese/meat substitutes for so you (and your family) won’t feel like there’s something missing. 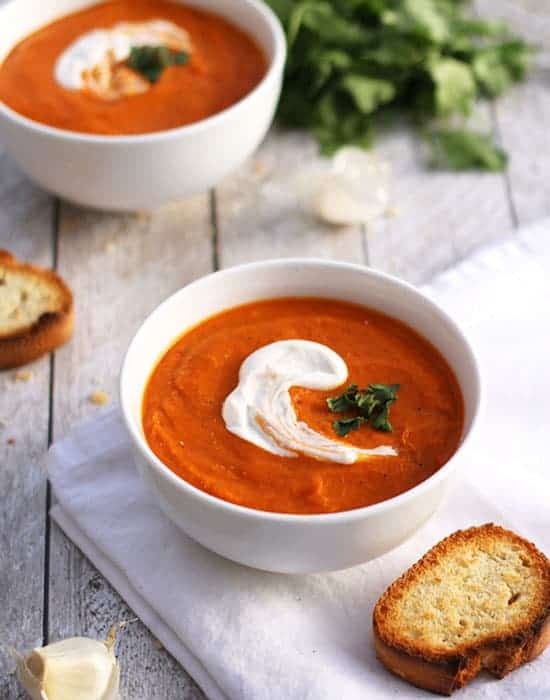 Veggie based soups: minestrone, escarole & bean, tomato or veggie broth-based soups, etc. Smoothies: Substitute a non-dairy based milk such as almond, cashew, soy, etc. My most important advice is to “crowd out” animal-based foods at first. Crowding out means is to focus on filling your plate with plant-based foods and keeping any meat or cheese as an accompaniment. For your meals that aren’t fully plant-based yet, you “crowd” your plate with veggies and rice/pasta/beans so it leaves less room for non-vegan foods. This will get you started on making vegetables the main focus of your meal (which is best for your health too). 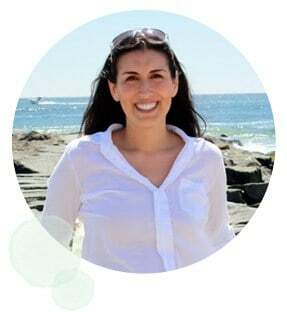 I know it’s not always easy at first – it sure wasn’t for me (as I never ate veggies before going vegan) but I have never felt better than I do now, so give it a try! 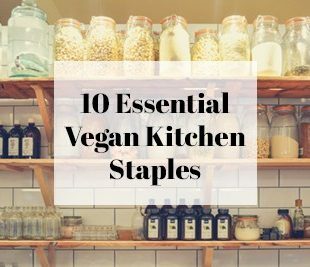 Check out my Recipes Page for lots of meal ideas and my 10 Essential Vegan Kitchen Staples for how to start stocking your pantry. You can also search for the hashtags #vegan and #plantbased on Twitter, Instagram, and other social media platforms. There are so many tasty plant-based foods out there for you to find! 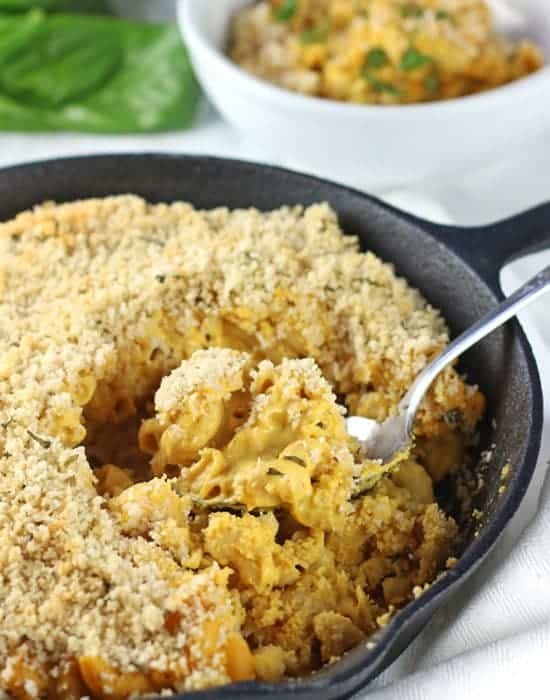 Vegan chick’n, meatless crumbles, veggie burgers, etc., for their counterparts. Many don’t taste as different as you might think! I’m sharing my favorite brands in Part 2. Something else to think about is different cuisines when you’re going to dinner, getting takeout, or even looking for recipes. I find that Asian-based cuisines are more veg-friendly than others as they do not rely as heavily on meat or cheese. Often they base their meals on veggies, grains, and/or noodles and think of meat as an accompaniment. With these types of dishes, you have the option of getting the dish with just veggies or if you’re ready for it, throw in some tofu. We all have our hard days when starting something new. When I felt like giving up, I’d ask myself: Why am I doing this? Remember to remember your “why”. Your motivation for going vegan could be being healthy, losing weight, and/or helping our animal friends. Everyone’s own reason is their greatest empowerment. Want more info? 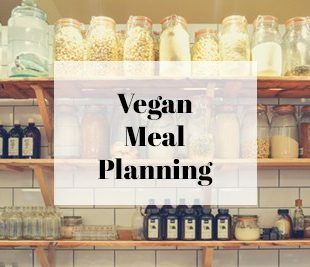 Check out my Vegan shopping, Products, and Resources post! Lots of great advice here, thanks! It’s a big change that can be a challenge with social pressures, etc. But such a positive change that keeps getting easier, thankfully! Thanks Christine. Yes, it does get easier everyday! I shared this on my personal facebook page in hopes it will some people I know that are interested in transitioning to a more plant-based diet. Great tips, Mary Ellen! I’m sure this will help anyone trying to go vegan. Thanks so much Amy! I hope it will help! Great idea Ginny! I’ll do that this week! Oh. I’m going to share this on my FB page. My only resolution this year is going to try to get hubby to go one day a week animal free. He goes a long way with me in having even vegan toothpaste and aftershave himself and when buying another car goes for the no leather interior. He goes 90%, but the meat and cheese he can’t say goodbye to. ?. Maybe starting with our pizza night might be a good idea. MJ, thanks so much for your comment! It sounds like your husband is being so supportive with vegan items so one day a week going meat-free shouldn’t be too hard. Pizza night sounds like the perfect way to start! 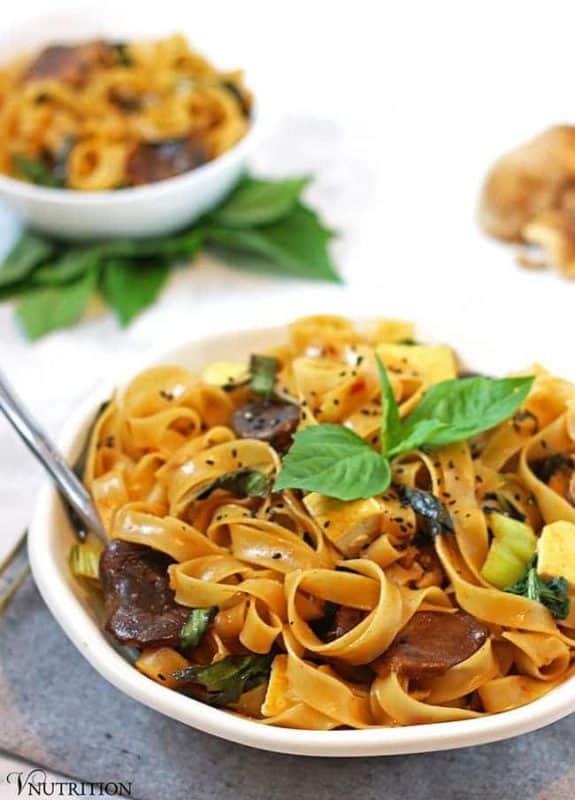 Any other kind of food that isn’t so reliant on meat/cheese could be helpful too like pasta or maybe some Asian type food. Good luck and let me know if you need any more help! One can keep dreaming. We already are the pasta rice people. Hardly a potato in sight in this household. He eats the same as me, just with a small piece of meat. Pizza without ham or minced meat should be doable. He already agreed not to put any meat products on his bread, but doesn’t like sweet things, so it’s peanutbutter and cheese and cheese and peanutbutter. ? We’ve always been the pasta/rice people too. 🙂 My husband still eats cheese sometimes and he really likes the Chao cheese brand and will have a slice or 2 of that on his bread and actually enjoys it. 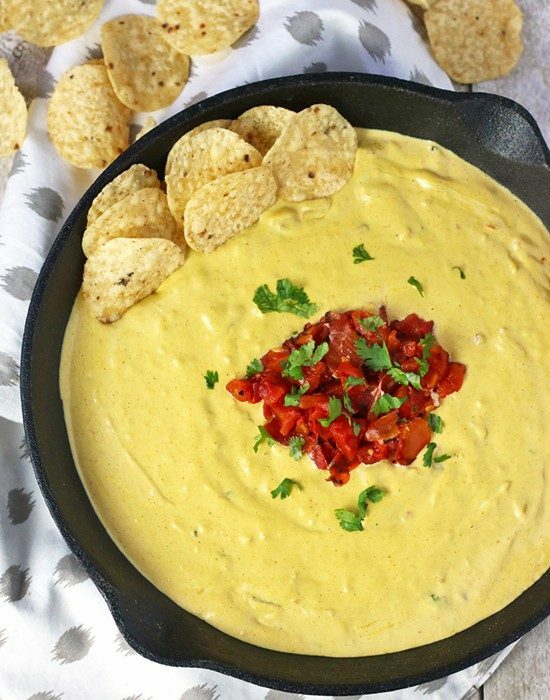 Maybe finding a good cheese substitute would help? I know that helped my husband. It took a while to find the one he really likes but it was worth it for him. Peanut butter is good too!